Community leaders visited the Laurel Farm Kindergarden in Carlingcott last week to congratulate them on their national success. 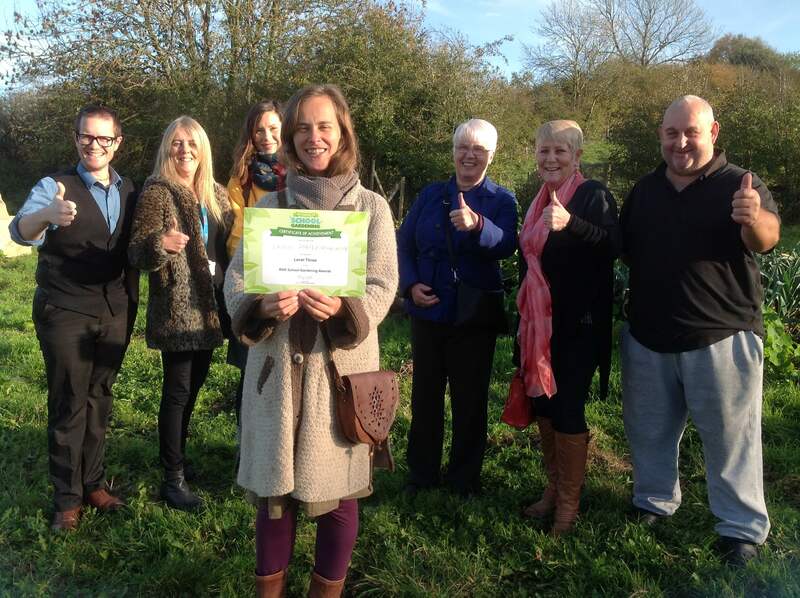 The rural school, which encourages children to learn through active outdoors play, has won a national Royal Horticultural Society Award for gardening. Judges at the RHS were impressed with the commitment the school has shown to environmental projects and ecological schemes. In particular, a recent gardening project funded by the Peasedown Party in the Park Grant Fund allowed the school to purchase new equipment, apparatus and a variety of fruit and flower seeds. The award entitles the kindergarden to three large deliveries of seeds, saplings and equipment next year. All new fruit trees gifted by the RHS will be planted at the school meaning the local community will benefit from fresh fruit for many years to come. Last week, community leaders congratulated the school on their huge success.